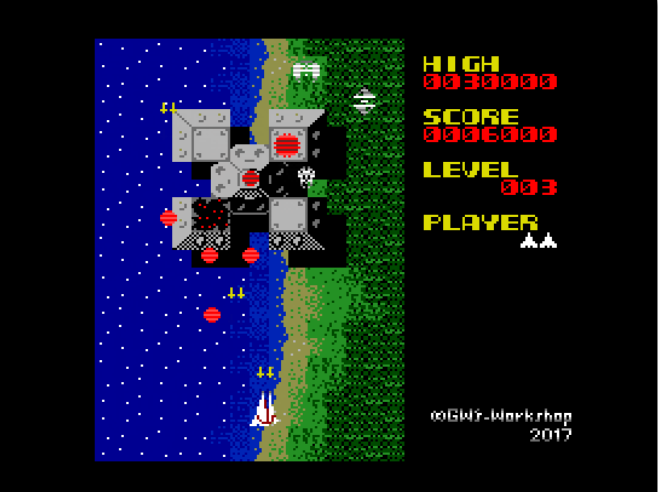 ΧΙ∧∃Χ (Zevimodoki) is a homage to the Namco classic Xevious. This game harbours some easter eggs after the example of its inspirator. The author thinks he should keep them a surprise for players, but that the jury team should know about it. He left it to MSXdev’17 staff’s choice whether to disclose the following information to the public, so we decided to hide said info under a spoiler warning. A betrayer – At the beginning of level 6, 10, 14… after each 4 levels, a betrayer is coming up with a warning sound ringing. It just looks like spinning three balls. He intends to take side with the player. If maneuvering him well, he will fly in orbit around the player and destroy enemies’ bullets; 500pts. per bullet. 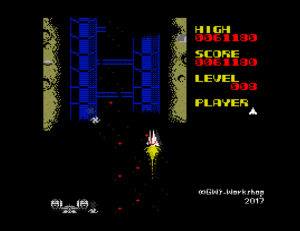 However a player can shoot him down and be brought down by collision. 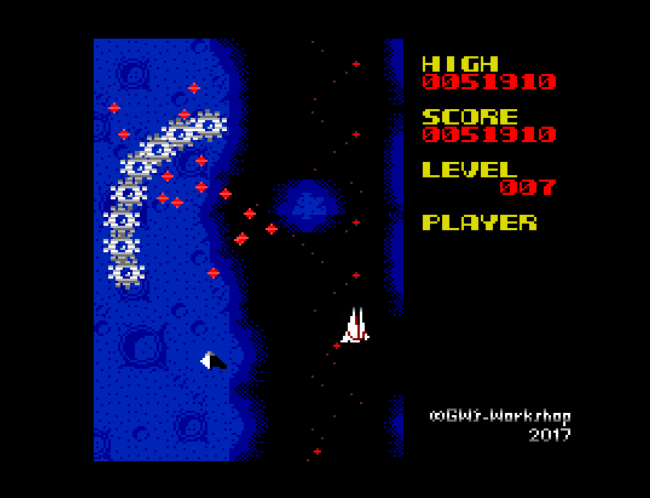 This is just a hommage to Brag Spario of Xevious. You can see the hint of this situation at the end of the coast area as a graffiti on the sand shore. A betrayer brings down one bullet at least. That means establishing communication between the player and the betrayer, and then the player gets information about the hidden boss. 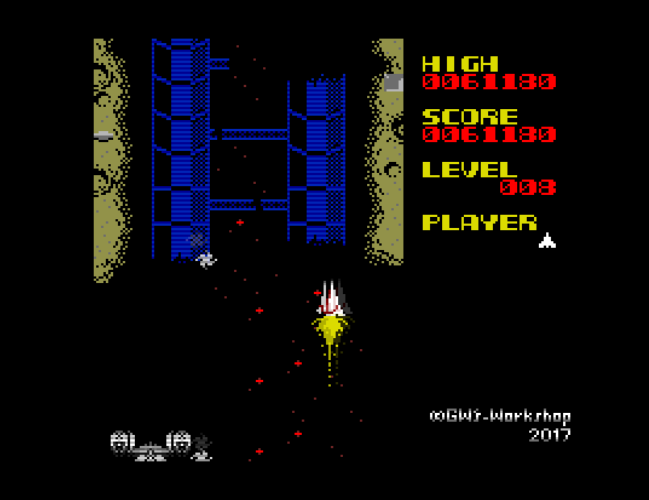 The player completely destroys a battle ship at the midpoint of the level. That means a hidden boss deems it necessary to go on a mission by himself. Score counter keeps increasing till the game is over. Implemented sprite rotator. It improves disappearance of horizontal sprites, especially enemies’ bullets. Added a new enemy; type-B. It is equivalent to GARU ZAKATO of XEVIOUS. Implemented MSX version check while loading. Thanks to Vampier @MRC for his intelligent quip. Fixed enemies’ three direction fire bug. This game is awesome! 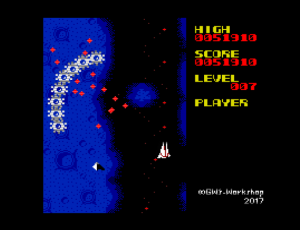 It is a great homage to XEVIOUS, one of my preferred shmups! Thank you for the support mister Ferreira. This ROM Game doesn’t work on an MSX 1 machine. Please check MSXDev Rules. Not I but YOU must re-read the rule again. Don’t you know MSXdev has the category of MSX Freestyle from this year? Trying to run it on BlueMSX. Not working… Even trying to change emulation to MSX2, MSX2+ etc. Basically I already confirmed the game working correctly on blueMSX by myself before the release. So I need more detail information about your problem. – Which Zevimodoki version did you try, xvx110.rom, xvx110.dsk, or something else? – What happened? Zevimodoki is booted from MSX-BASIC. Did you see BASIC booting message? – Which blueMSX version are you using? 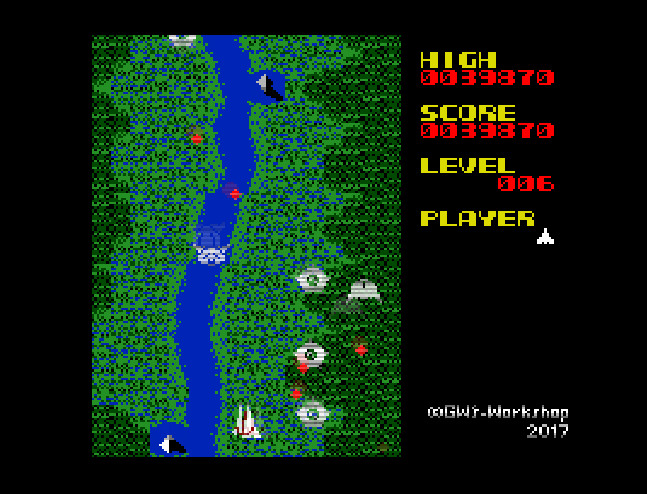 On the environment, any other MSX game is working correctly, isn’t it? I wonder you have to choose “ASCII 8KB” by yourself as ROM type when loading the ROM file. Try once if you don’t mention about that.